I’ve blogged about my love of Porgy and Bess before, so it should come as no surprise that one of George and Ira Gershwin’s tunes from the opera would make the countdown. I read somewhere that “Summertime” is the most covered song ever; artists from Janis Joplin to John Coltrane to Al Green to Ella Fitzgerald to The Roots have recorded this aria. The appeal of the song is evident on it’s first listen – it’s just a great song to sing and play. Of the many versions in my collection, Miles Davis’ recording will always stand as my favorite. This version, arranged by Gil Evans, has become the de facto standard. (Note: Ella Fitzgerald and Louis Armstrong also have a nice recording, but this is one time where I think the classy Fitzgerald sounds out of place -though Satchmo fits right it). I first heard Rogers & Hart’s “My Funny Valentine” on Rachelle Ferrell’s First Instrument. Right away, I fell in love with song. 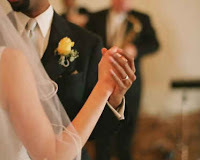 The words are so elegant: My funny valentine, Sweet comic valentine, You make me smile with my heart. There are hundreds of versions of this song; notable covers include Chaka Khan’s take (her smoky voice really works), Melinda Doolittle’s American Idol performance, and Cyrus Chestnut’s version (with Anita Baker on vocals). 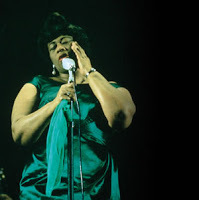 Still, I don’t think anyone sings this as well as Ella Fitzgerald; the lyrics sound so regal coming from her. I guess there’s a reason she’s called the First Lady of Song. 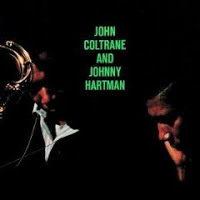 I was browsing Barnes and Nobles sometime during the summer of 1997 when I came across the simply-titled John Coltrane & Johnny Hartman album. I knew this was an LP that I had to own after hearing the duo cover Bill Strayhorn’s “Lush Life”1. I still get goosebumps listening to it. 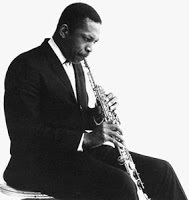 No other version (not even Trane’s solo take) can compare to this recording. Their take is, simply put, the definitive recording of this classic.